Reflowable — novels and memoirs, for example; mostly text with art in a supporting role. Scroll down to see samples. Fixed layout — illustrated and picture books and graphic novels, where design and content are tightly connected; Click here to see some examples. Multitouch books — created with iBooks Author and viewable in iBooks on various Apple platforms. These are often highly designed books, with lots of interaction between reader and book. 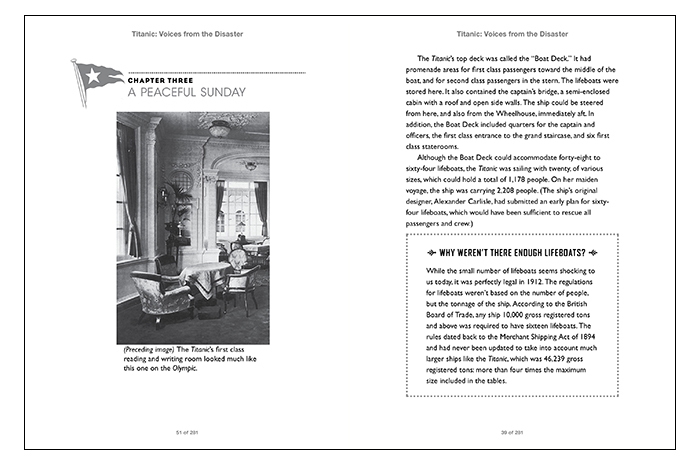 Color images and text in nonfiction (iBooks), catalog pages with lists and nested images (Kindle), boxed material with type variations (iBooks). 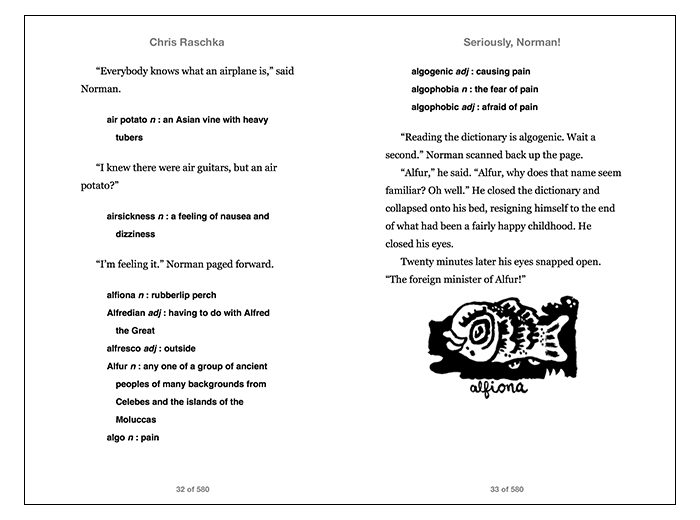 A reflowable e-book gives the reader choice: You adjust the type size and font, turn the device to portrait or landscape orientation, change the background color, all so the material is comfortable to read. The designer can embed fonts and spec sizes for text and heads and captions, but in most reading environments the user can still change the appearance at will. Genres with a lot of text, such as fiction and general nonfiction — novels, biography, history, memoir — all work well as reflowable e-books. Images support the text, and can be displayed at the top or bottom of the page or nestled in with their text references. 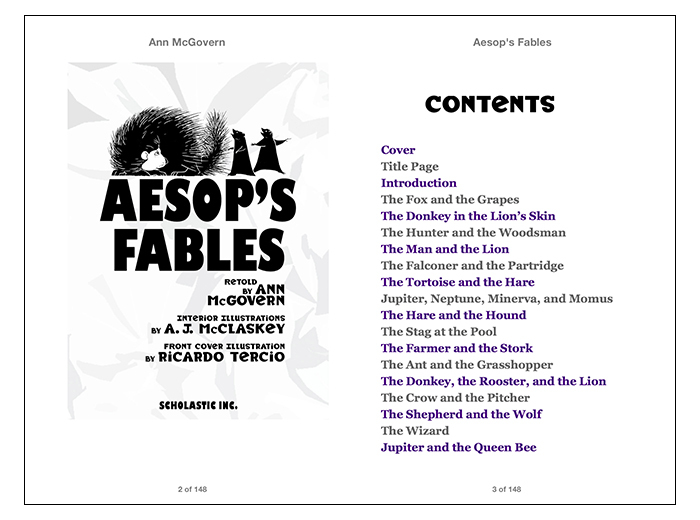 Here are some examples of reflowable books in iBooks, showing variation in font, font size, and orientation. These samples are from Digging (more information in the Featured Projects page). Here are two landscape views. On the left, text is in a serif font; on the right, it's sans serif. Here is a comparison of portrait view showing different text sizes (larger on the right). Below are galleries of reflowable projects in a variety of genres and with varying use of color and decoration. (Double-tap or click on an image to see a larger view and credits.) E-books don't suffer from the same restrictions — page count or use of color, for example — that print books do, so design choices are different and can be more expansive. The first gallery shows some frontmatter elements. 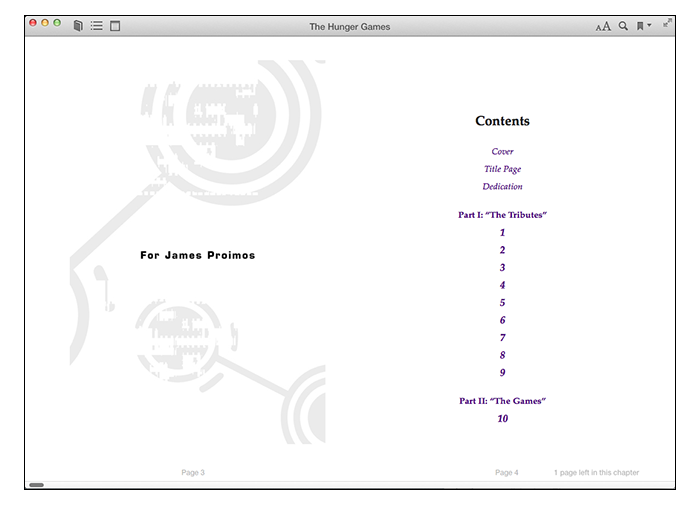 The first two slides are from The Hunger Games, showing the cover, title page, dedication, and Table of Contents. Common practice is to reproduce the print title page, dedication, part openers, and chapter openers as art, including type treatment. The rest of the slides show various other projects and their contents treatments. Print design credits and publisher information are at the bottom of each slide. Next are chapter openers, with designed chapter titles captured as art. 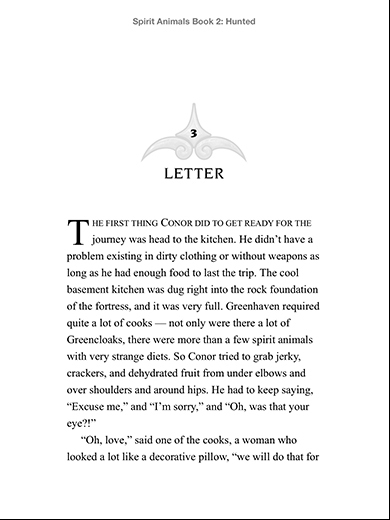 This is one way to both maintain the print design and give the e-book a singular appearance, so readers know what book they're reading. 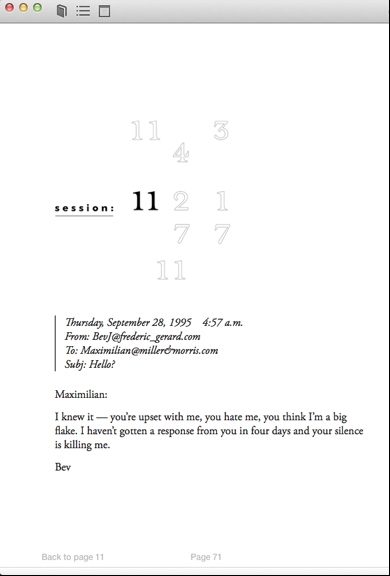 Next are some screen-grabs of interior spreads, showing images, captions, color, and typeface variation. Finally, some backmatter elements. 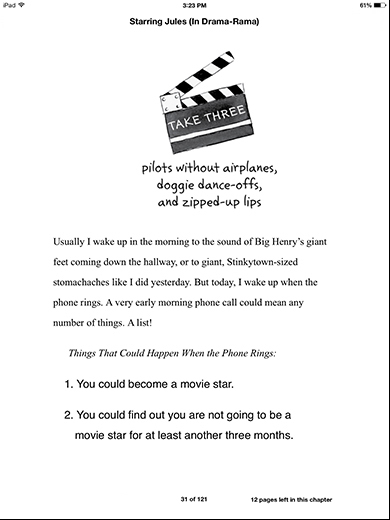 The indexes use print page numbers but link directly to the location in the e-book.